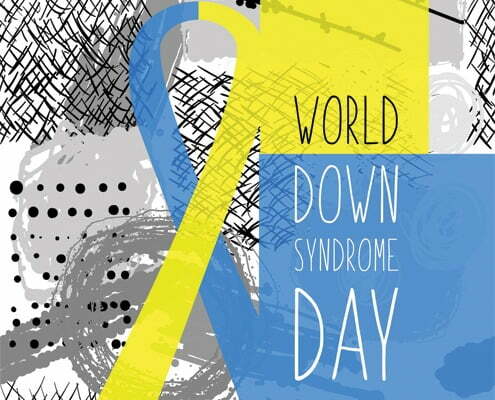 Down Syndrome is a disorder that occurs genetically before birth, therefore, it is not something one can develop after birth or even later in life. The date 21st of March 3/21 was chosen as it matches the three copies of chromosome 21 which is what is unique to people with down syndrome. In some cultures, people with Down Syndrome have been shunned away or ousted as people didn’t want to associate with them or “look bad”. Some parents, sadly, separate themselves from society with the fear of being stigmatised by others. With organisations like the Down Syndrome Society of Kenya, people- especially new parents, can seek help to try and understand how to provide the best care for their children and help raise them in the best way possible. With the right amount of care, love and opportunities, people with Down Syndrome can grow up having happier, healthier and even more productive lives. we could also participate in any activities that aim to help individuals with down syndrome and raise awareness about it. The 2030 UN Agenda for Sustainable Development, a global plan of action for people, planet and prosperity, pledges that “no one will be left behind”. People with down syndrome have the same opportunities as others and they should live fulfilling lives as well on all basis. Use this day to make the world a better place, for everyone.